The name should explain it all. Nissan has released the ultimate expression of the famed Nissan GT-R, the GT-R Egoist. 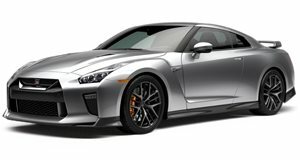 This vehicle was created by Nissan for those who believe that 522-hp just isn&apos;t enough and are expecting a car that&apos;s designed using only the finest materials. This version was specially created by Nissan&apos;s chief vehicle engineer Kazutoshi Mizuno, who has hand-crafted the interior using only the best quality leather, and a Bose sound system that will make your head spin. Under the hood, the Egoist has a revised twin turbocharged 3.8-liter V6 that leaves it with 522-horsepower, and a 0 to 60 time of 3.0 seconds. The car has such fine attention to detail that almost every aspect of the car, like the hand-painted badge on the steering wheel, takes several days to create. This is reason why the Nissan GT-R Egoist is not only built only to special order, but is also reassuringly expensive and aimed at a very select audience.